Now here’s the thing. 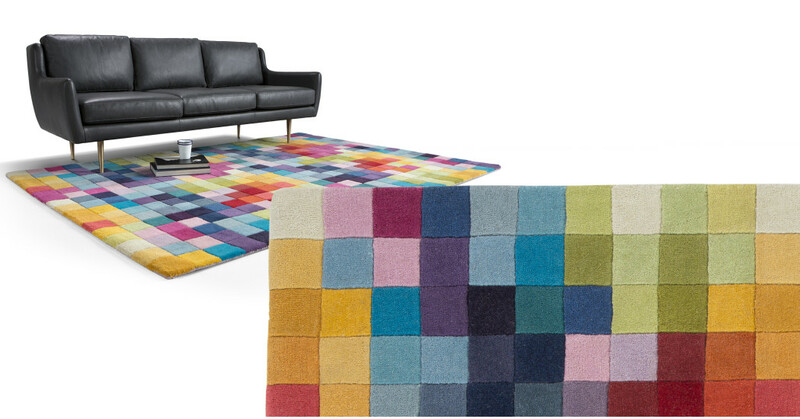 Your living space is taking shape, you just need something to unify the colour scheme. Challenge accepted - by the Pixel wool rug. Those colours though. So bold and characterful, and exactly what your home needs. In fact, there are 36 colours in this rug - that’s a lot of colour scheme options. Pixel is woven using a New Zealand wool blend. So weighty and luxurious - you can really feel the quality of that deep, luxurious pile.